Despite the fact that so many home design experts are recommending radiant heat cook tops and other electric cooking methods to their clients, consumers repeatedly report in survey after survey that they prefer cooking with gas. So while the so-called experts are trying to get homeowners to switch over to other fuel sources, consumers continue to seek out appliances that utilize residential propane fuel for cooking. It’s not that propane appliances aren’t stylish enough or lack the ability to work within any type of architectural style or decor, so we have to wonder why these designers and decorators are pushing so hard against the benefits of propane gas cooking. The cooking appliances available that take advantage of propane gas are available in a wide array of models, including low-cost economy models and high-end deluxe units that include just about every imaginable convenience. These ovens, ranges and cook tops are available in many different styles, colors and designs to give homeowners and contractors many options to choose from when remodeling a kitchen or designing a new custom home. 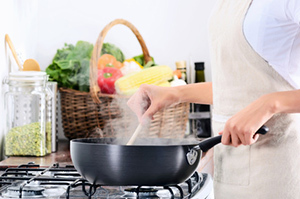 In addition to style and affordable options, there are other benefits to cooking with propane. There are many energy saving features that are built right in to appliances that use residential propane fuel, such as pilot-less ignition and improve insulation. Studies show that these features alone can help to reduce gas consumption by anywhere from 30-50 percent, revealing even more benefits to using propane in New Bedford over electric cooking options. Columbus Energies has a wide range of propane appliances available for sale and installation. 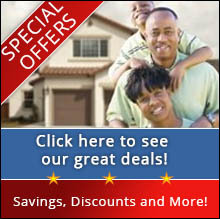 We also provide services, such as maintenance and repair of every appliance that we install. These services are of course in addition to our residential propane fuel delivery services, which are available throughout Southeastern Massachusetts and Rhode Island. At Columbus, we have a lot of experience working with propane appliance installation. The equipment that we sell comes from the highest efficiency manufacturers so that we can provide our customers with the best-possible solutions that will help them reduce consumption and lower their monthly costs. In addition to cooking options available for backyard propane appliances, such as grills and cooktops, there are two primary categories of indoor kitchen appliances associated with using residential propane fuel. PROPANE GAS COOKTOPS – When choosing cooktops using propane in New Bedford there are three distinct options: conventional burners that have a standing pilot, conventional burners that have an electric ignition and sealed burners that have an electric ignition. Most of the gas cooktops that are available on the market today are the conventional burner type with the electric ignition, however if you want something specific, make sure to speak with a representative to find out what options are available. PROPANE GAS OVENS – One of the benefits of propane gas is the precise heat control that is found in both the cooktops and the ovens that are powered with residential propane fuel. Baking comes out better in a gas powered oven because gas heat contains more moisture than electric, which can leave baked goods dry. An electric oven can have temperature swings as high as 25-30 degrees Fahrenheit, while cooking with propane allows for only a 10-degree cooling swing before heating up again. Gas ovens also reduce the amount of smoke when using the broiler option because the gas flames consume much of the splatter during cooking, while electric broiling requires the door to be left open so the smoke can escape. Beyond all of the benefits of propane gas that we have cited, there are many more. Cooking with propane is a huge advantage, which is why more chefs prefer to cook with gas than electric by a huge margin. Home buyers will often decide whether or not to buy a home based upon the type of cooking appliances available, so if there is a trend in your area to provide residential propane fuel, you just might want to consider making the switch. Propane is a safe and clean fuel that many homeowners in the South Coast region are choosing to help reduce costs and energy consumption as well. Columbus Energies has been providing residential propane fuel delivery and related services for over 50 years. Give us a call to find out more about the benefits of propane gas or to see our full line of energy-efficient propane gas appliances.